In most aspects of life, timing is everything. It can make the difference between a great joke and one that falls flat. It can turn your dinner from a delightful experience with the family into a burnt mess. And, it can derail your plans as you receive an exciting job offer in a different city just a week after you’ve signed that lease on your new apartment. The same stands true for marketing, albeit with a bit more planning. While you may be ready to send off that email as and when you finish writing it, but having some patience can pay off in the long run. Knowing when to send a message to your prospective customers and what to say to them to pick their interest, can make or break your physical therapy clinic’s efforts. When it comes to emails, especially cold emails, getting a response (or even a reaction) from your prospects can be incredibly difficult and frustrating. You’re doing your best to write these catchy headlines and unique content, but it’s a futile effort unless you have an audience willing to read it. Here’s the absolute truth: the days when brand communication was unilateral, are long gone. Nowadays, people want and like to engage with the companies that interest them. They will share positive reviews with their network about your services if they are pleased with you and they will leave a nasty remark on your social media if they are disappointed with your practice. Most importantly, they tune out any unwanted communication immediately. And, in a way, a cold email is exactly that – an unsolicited message that you send without prior contact. Don’t get the wrong idea: cold emailing can be an excellent way of reaching out to new potential prospects and picking their curiosity about your physical therapy clinic. The problem is that most small-business owners don’t know how to create them. Not to mention, their timing is usually awful. In this article, we’re going to look at how to write a proper cold email and when it’s the best time to send it, according to science. You Have to Check This Out ­– That’s a pretty vague message that doesn’t communicate the value you will receive if you invest time in reading the email. Last Chance Now ­– This subject line feels like you’re being baited. Again, there’s nothing concrete here, so you move on to the next message. You Will Want to Share This! – This message doesn’t explain how you will benefit from opening the email and it feels rather time-consuming. This list of uninteresting titles can go on forever. The idea here is that most of the cold emails we receive are poorly written and don’t offer any value. Your prospective patients feel the same way. Why should they stop from their busy schedule to find out what is it that they won’t believe it will happen after they read your email? That’s too ambiguous to deserve their attention let alone to make them take action. So, before you discover what are the best days and hours to send cold emails to your prospects, let’s learn first how to write a proper one. What to Ask Yourself When Creating a Cold Email Marketing Campaign? Let’s assume that you are a small physical therapy clinic, looking to build your customer base and get some brand awareness with the help of influencers in your niche. Here are some of the things you need to consider to ensure your cold email marketing campaign is going to be effective. Are You Making the Recipient Feel Valued? Take a second and think about what you plan to write in your cold email. Are you thinking about overwhelming the recipient with requests (share this, review this, do this, etc.?) Is the message you’ve crafted in your head full of jargons or insincere compliments? Then you need to change all that immediately. The point of a cold email is to touch base with a potential patient or partner and build a genuine relationship with them, not to make them feel like you’re only crossing off a task on your list. Think about the ways you can bring value to the recipient and mention it in your message. For example, if you are reaching out to an influencer, you can offer to create an interview with them and post it on your website. Is There Any Real Interest in My Offer? So, you’ve worked hard to craft your cold emails, and you’ve picked the recipients carefully. However, in spite of your efforts, you didn’t hear back from any of them. The obvious action you need to take when that happens is to follow up on your email. But, what if they still don’t answer to your request? Well, if that’s the case, then try to avoid being pushy. Don’t follow up with another follow up or send your prospects any inquiries via social media. Get back to the drawing board and try to figure out what when wrong in your reach-out. Maybe your message was too long, and they’ve lost focus, or maybe there wasn’t any real interest in your offer? The truth can be hard to accept, but try to admit it and work on improving your strategy. How to Make Sure Your Timing Is Perfect? People do move at the speed of light, but when it comes to building a relationship with brands, they take their time. You can’t expect to send your cold email and get an immediate reaction. Nurturing a connection and turning a potential patient into a customer requires hard work, time, and a sound strategy. One of the factors that can influence the effectiveness of your efforts is WHEN you send your emails. We’ve analyzed a few different studies, rounded up the data, and came with an answer for the best day and best time to send cold emails. MailChimp used an algorithm to collect data about the email open rates in different time zones. After looking through several billion email addresses, they noticed that the best day to send emails is on Thursday. HubSpot, on the other hand, found that Tuesday is the best day to send emails, followed closely by Monday and Wednesday. According to their study, Tuesdays got the most emails opened when compared with any other day of the week. 10 AM – The vast majority of studies concluded that late-morning, such as 10 AM or 11 AM are the most popular times to send an email. 8 PM through Midnight – Most businesses are under the impressions that people usually check their emails first thing in the morning. Well, studies contradict this opinion. According to data, a big fraction of prospects prefers reading their emails right before going to bed. 2 PM – Imagine that you’re having another long day at the office and you’re looking for ways to procrastinate. What do you do? Most probably you check your social media and open your email to pass the time. Studies suggest that sending your cold emails later in the day might be a successful approach. 6 AM – Sure, people check their email at different times throughout the day, but the fact remains that more than 50% of online users begin their day by reading their emails in bed. You may have noticed that although all of these studies analyzed the same thing, the results are pretty different. Some claim that Tuesday mornings are the best times to send your emails while other consider Monday’s at midnight to be the optimal time. Well, as it turns out, there is no secret sauce when it comes to discovering the best days and times to schedule your cold email marketing campaign. In reality, it all depends on your audience. That doesn’t mean that these studies are completely useless. Now that you know what works for most people, you can test different variables and see what sticks to your audience. Create a schedule and test your cold emails for the best days and times to see which one get the highest open and click-through rates. For example, you can schedule a few emails for Tuesdays at 10 AM, some for Thursdays at 10 AM and a few for Wednesday at 10 AM, and so on. Work with different days and time intervals and monitor your data closely. Then create a strategy that considers your new acquired insights. Studies show that 33% of people open emails based on the subject line alone. 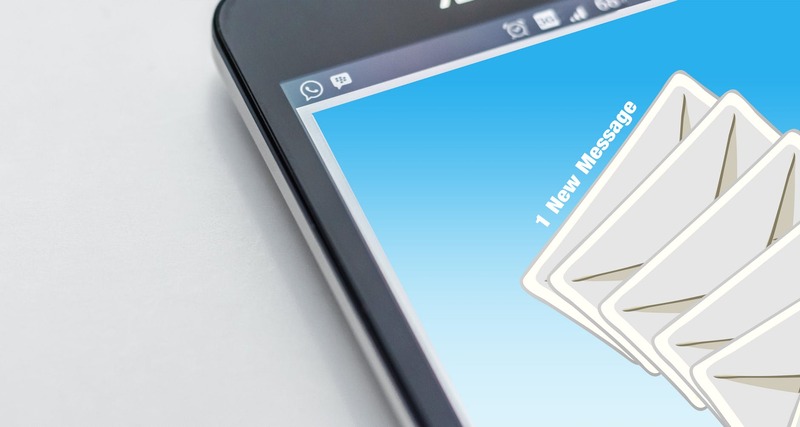 To ensure that your message won’t end up in the Spam, try to create a subject line that uses one of these five key elements: curiosity, relevancy, urgency, value or emotions. One of the best ways to get prospective patients to open your cold emails is to promise them that your message isn’t a waste of their time. Once they realized that you’re not just trying to sell to them and that you care about their needs, they will start trusting you. Imagine that a stranger walks up to you and without introducing himself, he’s asking you for a favor. Would you help him? Your prospects feel the same way when they receive a cold email. Do your homework and try to learn something about your prospect before reaching out to them. Use that information to make your email feel more genuine and personal. There’s no denying it: sending cold emails is a daunting task. Everything from the email subject line to the body copy or the time of the day you decide to send it can impact your chances of success. The best thing you can do is to test, test, and test again. Then, once you’ve figured out what works most effectively for your audience, implement it into your strategy. Are you still struggling with your email marketing campaign? Here at Patientsites.com, we have the tools to help you meet and even exceed your email marketing goals. Get in touch with us if you want to learn more.